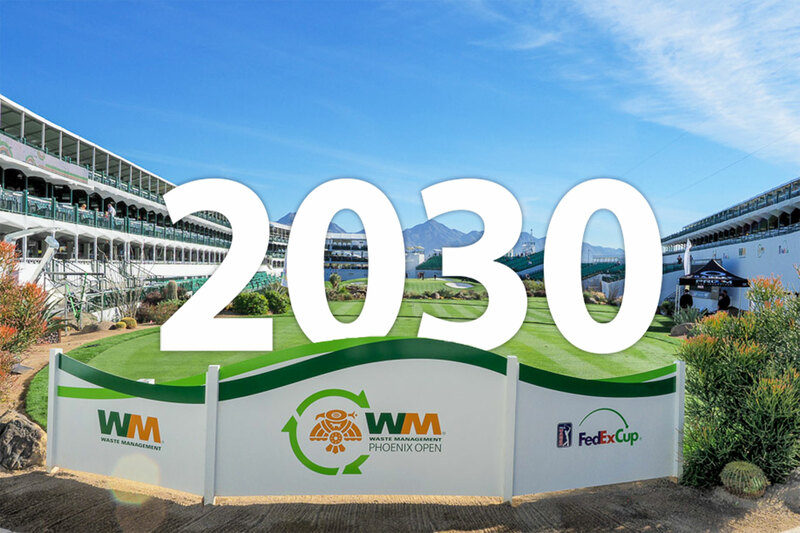 Commitment to PGA TOUR’s Waste Management Phoenix Open now through 2030. SCOTTSDALE, ARIZONA – Celebrating its 10th year as title sponsor of the Waste Management Phoenix Open, Waste Management has signed an early renewal that will continue its commitment to the tournament for another decade, through 2030. The new agreement, which also covers Waste Management’s marketing relationship with the PGA TOUR as the Official Environmental Waste Services Provider, was announced today by PGA TOUR Commissioner Jay Monahan and Waste Management President and CEO Jim Fish at TPC Scottsdale, site of this week’s 84th Waste Management Phoenix Open. 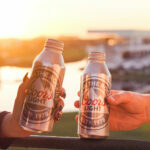 It replaces a 10-year deal that started with the 2016 tournament. Over the past 10 years, Waste Management has used the tournament as a platform to educate and implement various environmental and sustainability initiatives, most notably, the Zero Waste Challenge. Since the Challenge was introduced in 2013, Waste Management has diverted 100 percent of tournament waste to its next best use through recycling, composting, donation, reuse and creating energy. This is particularly impressive for what is easily the highest attended golf tournament on TOUR with well over a half-million fans each year. same year the tournament was named sports event of the year by the SportsBusiness Journal. Most recently, the tournament earned the Council for Responsible Sport’s highest designation as an Evergreen Inspire event in 2017 and 2018. The past two years also saw the tournament become the first two-time winner of the highest international award for sustainability in golf, being named “GEO Certified” by the Scotland-based GEO Foundation for its efforts to balance environmental impacts, conserve natural resources and benefit the local community. Regarding charity impact, The Thunderbirds have donated more than $68 million to hundreds of charities since Waste Management became title sponsor. That includes a record $12.2 raised in 2018 alone, marking the fourth straight year of establishing a record for the tournament. Spanning the tournament’s 83-year history, more than $134 million has been donated to charities. The Thunderbirds were founded in 1937 with the mission of promoting the Valley of the Sun through sports. The Thunderbirds consist of 55 “active” members and more than 285 “life” members. In 2018 The Thunderbirds raised a record $12.2 million for charity from proceeds from last year’s tournament and have eclipsed $134 million in charitable giving since its inception in 1932. For more information on The Thunderbirds, www.thunderbirdscharities.org. China. Members on the PGA TOUR represent the world’s best players, hailing from 25 countries (88 members are from outside the United States). Worldwide, PGA TOUR tournaments are broadcast to more than 1 billion households in 226 countries and territories in 23 languages. Virtually all tournaments are organized as non-profit organizations to maximize charitable giving. In 2018, tournaments across all Tours generated a record of $190 million for local and national charitable organizations, bringing the all-time total to $2.84 billion. The PGA TOUR’s web site is PGATOUR.COM, the No. 1 site in golf, and the organization is headquartered in Ponte Vedra Beach, Florida.